Summer Institute 2019 Scholarship application available! Please complete a scholarship application by April 1, 2019. Please be sure to apply early as the deadline will not be extended. Due to generous support, some years NILI is able to give at least some funding to those applying for scholarships. Other years we are challenged to do so. Scholarships are for partial tuition for the two-week Summer Institute only and do not cover housing, meals, or parking (if applicable). Scholarship funds are targeted towards those who could not attend the Institute without support. If you are employed as a teacher or at a language program or school district, you must first seek funding from your program. We encourage all those in need of financial assistance to seek funding from other sources as well. NILI’s Summer Institute Teacher Training Program is a 2-week program where Native language teachers and learners study an Indigenous language, linguistics, teaching methods, and language activism. Teachers will learn to apply teaching strategies and will develop materials to take home to their classrooms. High school students study language, linguistics and teaching methods. They will design and create activities to support preschool learners. Guest speakers (UO faculty and Native students) present information and experiences that will introduce youth to college life and create a bridge to higher education. Students are mentored in project brainstorming, planning, linguistic guidance, pedagogy, evaluation, tool support, and product delivery. Take on leadership roles in language preservation and teaching while demonstrating a commitment to their Tribe’s values and traditions. Limited scholarships are available. See scholarship information at the top of the page. If you have questions or need further information, please email us. It is our experience in providing a youth component to NILI Summer Institute that communities have wanted to provide their own chaperones for youth participants. If you are bringing youth, someone must be designated in your group who will assume responsibility for chaperoning youth participants. Youth and chaperones will attend all NILI events during the Institute. Chaperones are encouraged to attend all NILI classes with youth. Chaperones need not be present in the classroom with youth, but must be responsible and present during out of class hours and at night. Chaperones will need to cover their own dorm expenses (room and board) as they must stay in the dorms with the participants. All youth attending NILI must have consent forms signed by parents/guardians prior to the Institute. If you are considering bringing youth to NILI, please contact our office at nwili@uregon.edu or 541-346-0730 to make arrangements. 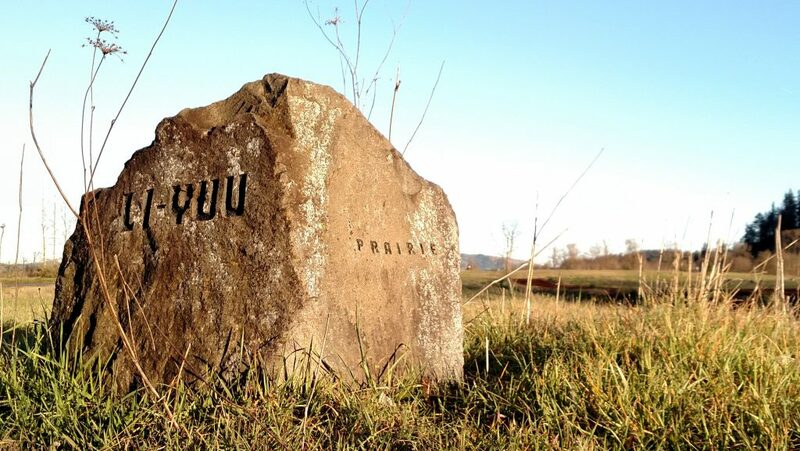 The Land the Northwest Indian Language Institute and the University of Oregon are located on is the traditional and ancestral territory of Kalapuya people. It is a place where Indigenous languages and multilingualism once thrived. We acknowledge and honor the traditional stewards of this land.